Annual Meeting time from 5:00-8:00 PM. Free Parking available in the parking garage off Main Street south of the church. Handicapped accessible entrance located off 46th Street. Program Begins at 6:30 PM. 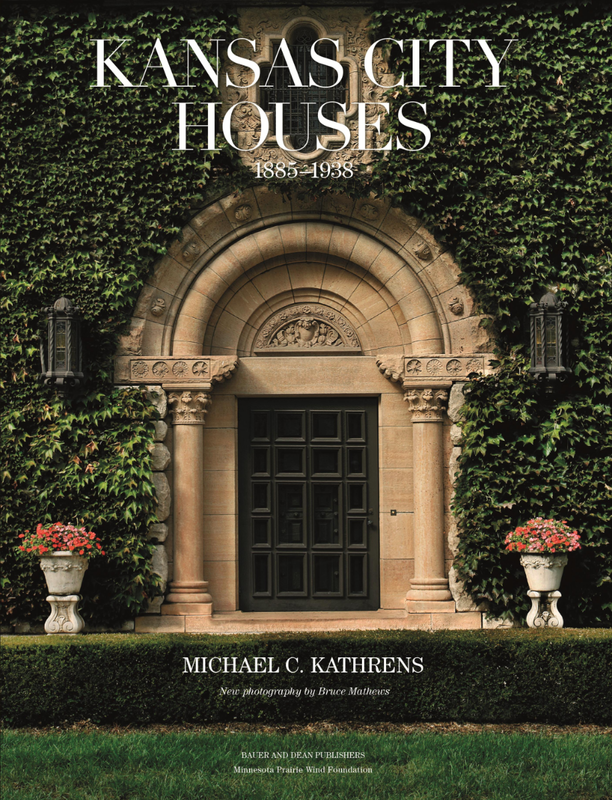 Our featured speaker is Michael Kathrens, author of Kansas City Houses 1885-1938. The book reveals the architectural treasures built during the city's boom years. This is the first book to survey the rich architectural heritage of this major Midwestern hub, which straddles the state line between Kansas and Missouri. Architectural historian Michael C. Kathrens spotlights the work of highly accomplished architects, many based in Kansas City who have long been overshadowed by their high-profile East Coast counterparts. He places the significant but little-known architectural legacy of Kansas City in a historical context and traces the development of the city's exclusive residential neighborhoods starting in 1857, which helped transform the once rough-and-tumble town into a fashionable city with tree-lined blocks populated by handsome houses and private clubs. He will explore the development of Kansas City's affluent residential districts beginning with Quality Hill in the 1850s, through the boom years of the 1920s, including the Sunset Hill and Mission Hills districts. His talk will include houses that are profiled in detail, including floor plans, architectural drawings, and photographs of interior architectural elements. Michael C. Kathrens is an independent scholar specializing in American residential architecture and interior decoration of the mid nineteenth through the early twentieth centuries. His previous publications include American Splendor: The Residential Architecture of Horace Trumbauer (Acanthus Press, 2002, revised 2012), The Great Houses of New York: 1880-1930 (Acanthus Press, 2005, revised 2015), Newport Villas: 1885-1935, The Revival Styles (W.W. Norton, 2009), The Great Houses of New York: Volume II: 1880–1940 (Acanthus Press, 2013). Kathrens is currently working on two projects: Newport Cottages: 1835-1990 and The Houses of Ogden Codman Jr. He is currently a resident of Kansas City, Missouri, his hometown.